In this blog post, I will be talking about 5 key things to implement when starting with Business Process Improvement (BPI). If this is the first blog post that you have read in the series, I recommend you read my first post on 5 simple ways to start thinking about Process Improvement as a good starting point to encourage you to start thinking about your current processes. So, what processes are you currently using in your company? If the answer is none, you are very wrong! Believe it or not, you are probably unknowingly using dozens of business processes every day. Whether they are working or not, it is a good idea to start acknowledging these processes. 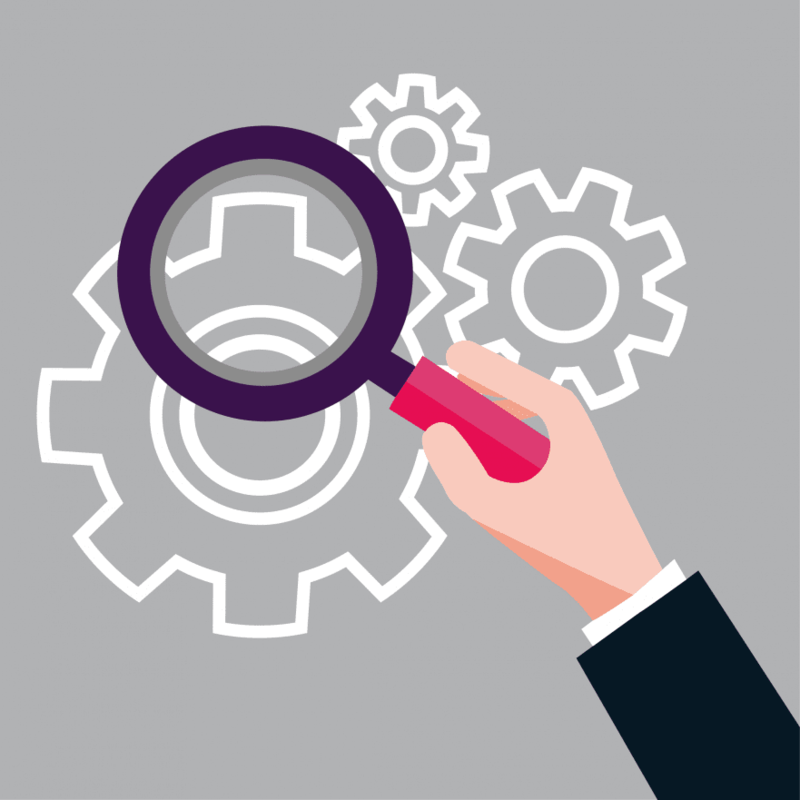 There are a variety of methods you and your team can use to identify processes and acknowledge potential fixes and ideas, these methods are highlighted in section two of the post. 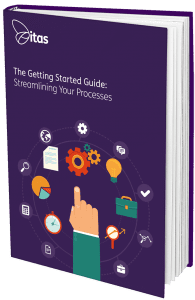 In the first section, we are going to generate some ideas to think about when you start acknowledging your business process improvements. When you have an idea of what problems you have and possible solutions to the problems, you can then start to think about different methods to generate a discussion with your team to get some ideas thrown around. What are some potential solutions to the problems? How would you like a process to work? How can you make a vision real? What implications may you run into? How can you reduce the time taken to complete a process? How can you measure process performance in relation to customer satisfaction, quality, cost and time? These are just a few of the many questions you can ask yourself and your team, and each question can be applied to any kind of business. So with all this in mind, we can now move on to some methods you can use to help streamline your business! Now I imagine you are familiar with brainstorming, we have all brainstormed at one point or another, it’s quick to go to method when we need to generate some ideas. In case you are unfamiliar with brainstorming, I will explain. First of all grab a piece of paper, if you’ve got a lot of ideas brewing in your head make sure you have a big piece of paper and if you’re a color-coordinating kind of person, now is your time to shine! Next, it’s time to pick a process to brainstorm about, you can either use one of the ones I’ve listed above or pick one of your own and write it in the center of the page. From there start generating ideas around this subject, draw a line from the center topic and ask your team what ideas they have, how they feel about it, what problems could arise and make sure you write everything down. If you don’t want to start with a brainstorming team activity, why not highlight the issue or process with your team and ask them to go off on their own to create a brainstorm to a deadline. Once complete you could then all return as a team and they can read out their ideas to one another, creating a much larger brainstorm on a piece of paper containing everyone’s ideas. This method is good if you have shy people in your team who are less inclined to speak up impulsively in front of other people. The process map helps you see what your processes go through every day. It can help you see whether you’re wasting resources such as time and money and it will also help you see if there are any shortcuts that can be taken. Finally, it can indicate whether crucial steps are being missed out that perfects the process. 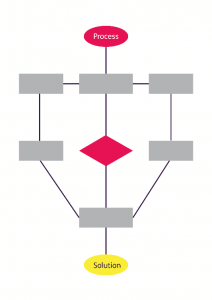 Before you go, check out our new blog on Process Mapping! Click here. Drive is more of a problem-solving way of process improvement that doesn’t rely on a diagram style solution. It is a more structured way to analyse your processes, where you go through five steps to get to the end result. You do however have to keep going back and reusing the method to solve every process. Define – To begin with you must define the problem or process, I’d suggest writing it down. Review – Review the current situation, what are the problem areas? What is the current situation that you are dealing with? 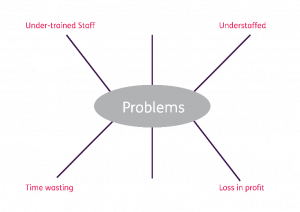 Identify – How can the problem be improved? What is the solution? What changes need to be made to achieve long term improvements? Verify – Verify that the improvements will be achieved through the decided solution(s), and plan the improvements. Execute – Execute the improvements and solutions, gather feedback and keep a close eye. Make sure you are constantly reviewing the process and be prepared to make mistakes and try again. When using the Drive method, or any method in fact you must remember that you are not always going to get the solution or the improvements right the first time. Don’t be afraid to go back to the drawing board more than once. Refining a process until it is perfect is a lot better than settling for a mediocre process, even if it requires a little bit more time. 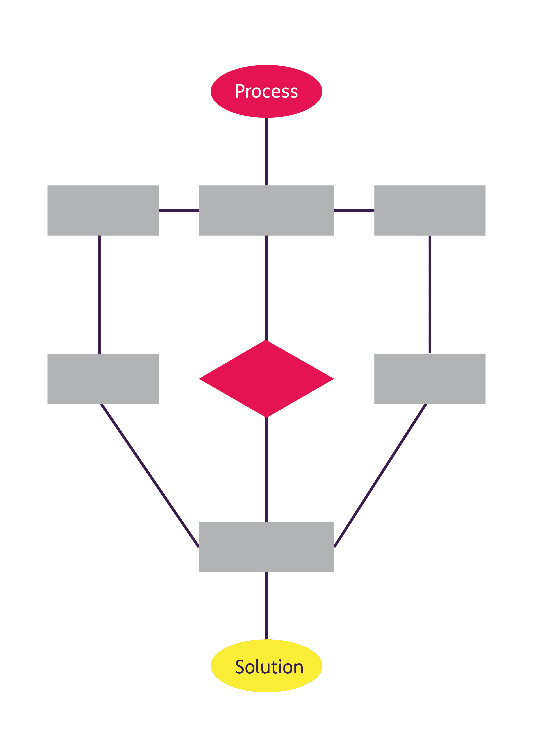 The cause and effect diagram or Fishbone is a great technique for identifying problem-solving. The effect or problem is shown at the end of the line. Any potential causes are then identified, including any sub causes in relation to the cause. Brainstorming is a great method that works alongside this diagram, as it can help you identify the problems effectively. By identifying the main causes you can effectively and permanently remove the problem, or at least reduce issues such as time. Working with your team is the best way to identify causes and problems as they work directly with any potential processes so may know it better than yourself. It also forces the team to focus on the actual content of the problem rather than their own personal opinions. The six thinking hats is a method developed by Edward De Bono. It was created to combat common issues with team meetings, lack of focus, strong personalities and people’s opinions affecting the other team members’ opinions. This method provides a defined focus, clear steps and gets to the point. It is also very interactive and engaging for your team. To begin with split your team into six groups giving them a colour, white, red, black, yellow, green or blue. White hat: What are the problems? Yellow: What are the causes of this problem? Black: Which methods can we use to overcome the problem? Green: What are the solutions? Blue: Which solution should we use going forward? Red: How do we feel about this process, what is the plan? Now, the colours roles may not apply to what you are trying to achieve with your team but as long as you use the same structure you can easily change the roles to apply to your situation. It is a great method because it stops people from talking over one another and it helps people focus on one particular area rather than a large area, hopefully generating a better discussion. Once the teams have been allocated their coloured hats, start generating a conversation with each group staying with the colour order stated above and you will find ideas will bounce off each person. You will find with this method, meetings not only go faster but the team is also fully engaged throughout the whole process, something you might not get through the other methods. Before you begin a brainstorm session or a cause and effect discussion there are some things you and your team need to talk about, or for you to keep in mind so you can bring them up to your team if necessary. Throughout the discussion you need to make sure your team agrees on the problem and the causes, if they don’t, ask them why? Generate a discussion with your team and let them know there is no right or wrong answer. Once you have completed everything above, evaluate your solutions with your team. Which solutions are practical and why? What can be done with the resources we have? What is going to benefit the customer/consumer? What is going to benefit the staff? What will generate the most revenue? What will valuable time and money? You will find by involving your team in understanding your business processes they will begin to value time and costs because they understand how these things affect your business. You may also find that they feel more involved with the business, making them more confident when they realise their opinions and job role matters in more ways than they once thought. 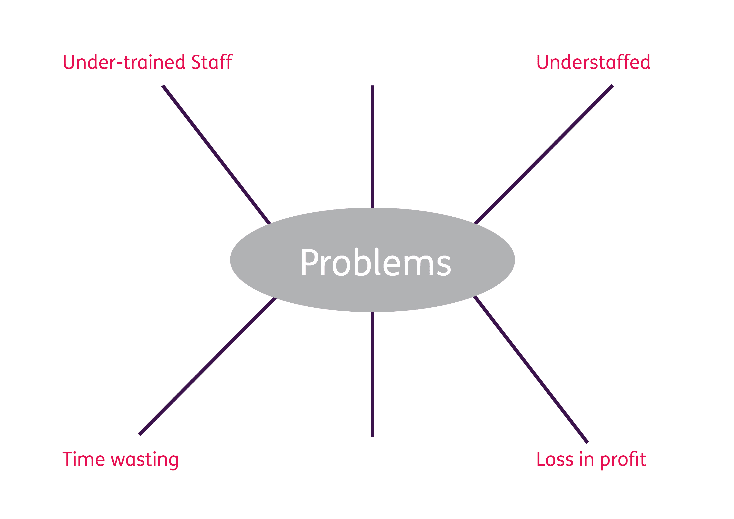 At the end of the evaluation stage work with your team to prioritise your processes, have a discussion about which problems and solutions are the most important in relation to your business processes – what is being affected the most? And what is going to benefit the business long term? You may be surprised by the differing opinions of priorities but before the meeting ends to make sure you have all come to some sort of agreement. Remember, a business process improvement is a challenging approach to your business. Not only are you acknowledging the flaws within your company but you have the challenge of coming up with the solution to these issues. This is why we encourage you to involve your team because chances are you’ll have more than one good idea in a group of people!